1 1/8 Ahead carbon steerer. 795g (NOT FOR TANDEM USE) Mudguard bosses. Upper mounts cannot be used for low riders as forks do not have lower mounting eyelet. These bosses can be used for the mounting of hub dynamo lights etc. Hi, i am planning to convert my old mountain bike to drop bar all round bike, at the moment i am running 80mm front suspension and in theory need 440mm Axle to Crown, can i possibly make these work and if so what rake?.Regards, Andy. These are a 385mm A2C so would be a long way too short! Can i use these for 26'' -559 rims? Fur a recumbent it is.. with 559 rims. That is both with and without mudguards. Thanks. You could fit a 2" tyre without guards and a 1.75" tyre with guards. Hi.What's the weight limit? If i weight 70kg, how much can it carry? I want a full_loaded tour, can it carry me? These forks are not recommended for touring, they are more than capable of carrying your weight but we'd recommend keeping your steel forks for loaded touring. What Size Offset Will I Need To Fit My Rst? RST is a 561 L I think. Thank you. And why wouldn't you normally recommend for a RST? You would need the 45mm rake as it’s the closest we have to 43mm rake which is the correct rake but 45mm is close enough. 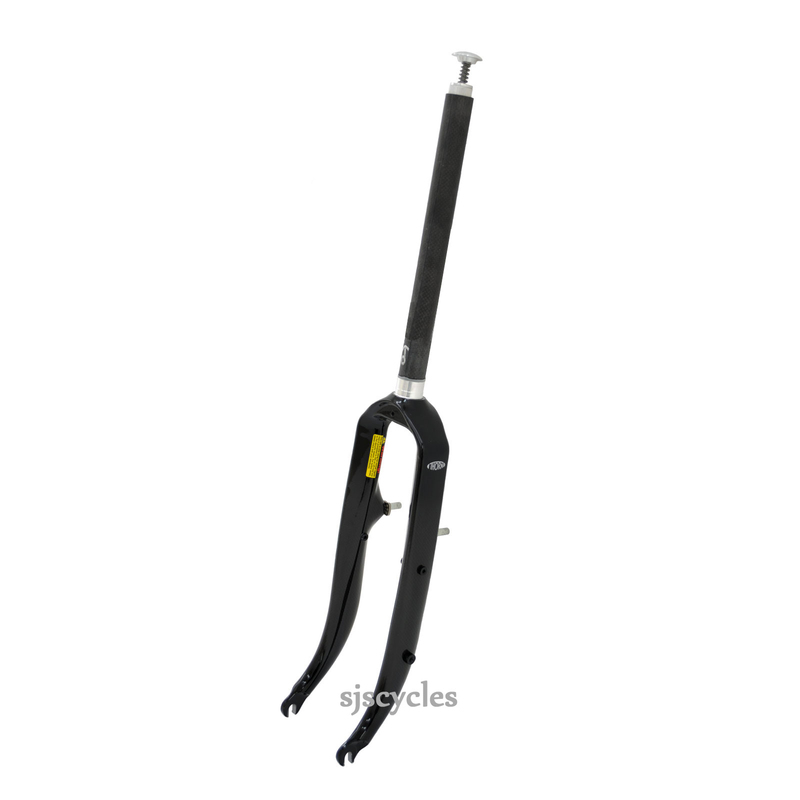 The reason we do not recommend them is they are not as good as the steel fork supplied as standard. They are lighter but are less comfortable and they do not allow you to carry front luggage so they are not for touring only for day riding. Hi. Are these forks suitable for a Raven Sport Tour? If so how would I know the fork offset to chose......I can't remember my frame size but am 5' 7'' and it has straight bars so probably the long top tube. We wouldn't normally recommend using these forks on a Raven Sports Tour, but they can be used if you wish. Having found your customer record you would require the 45mm offset for these forks based on your frame size.